Happy May the 4th everyone! 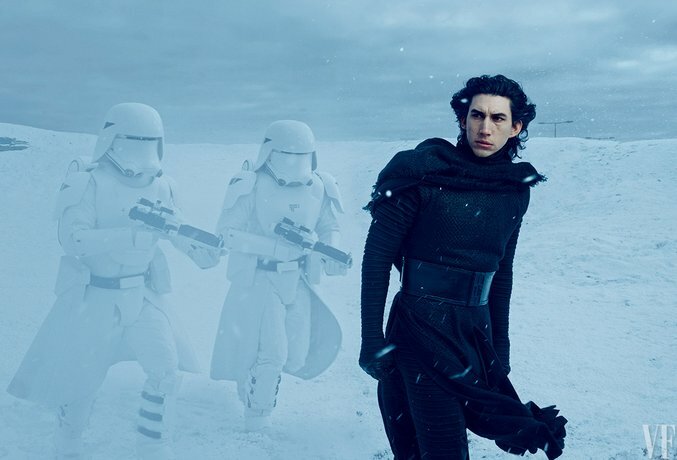 Let’s celebrate by recapping all of the Star Wars VII: The Force Awakens news that came out over the weekend! 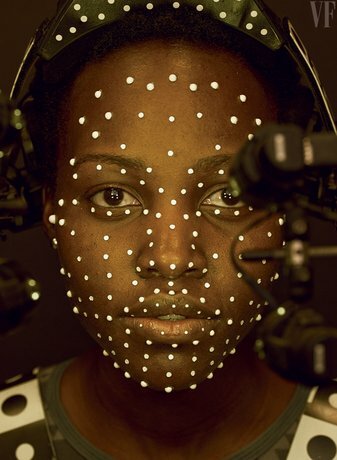 Vanity Fair is having a Star Wars issue coming out in June and with any good main article, you need some good pictures to go along with it. So, Vanity Fair sent Annie Leibovitz to get those good photos, and guess who is getting an early look at them… Us! The Vanity Fair issue is giving us some great looks at characters and revealing some information for us. 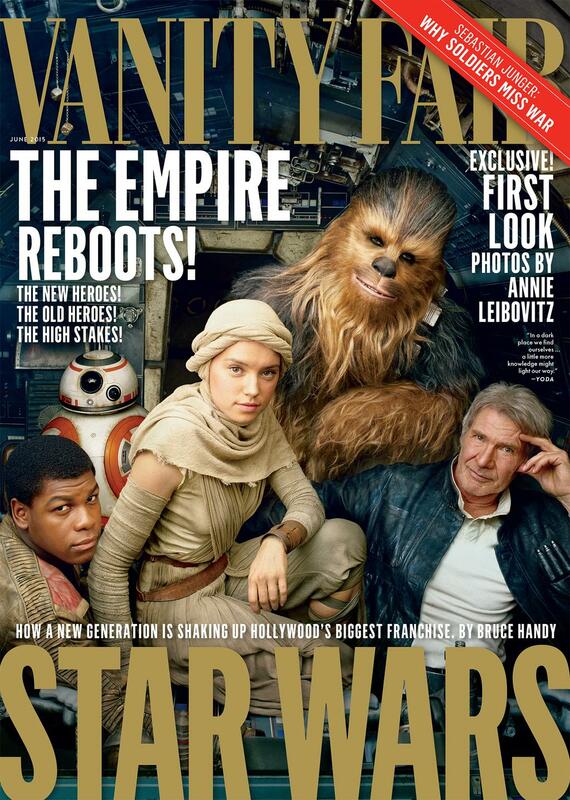 For starters, the cover gives us a solid look at Han and Chewy sitting with Finn, Rey, and BB-8 in the Millennium Falcon. 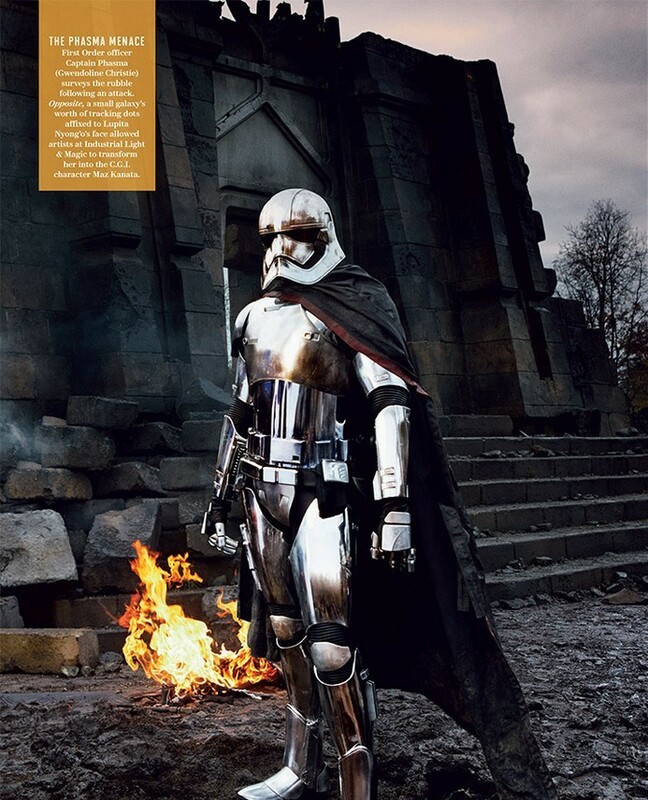 Another picture gives us a full look at the all-chrome trooper from the trailer and tells us that Gwendoline Christie, from Game of Thrones, is under that armor. The latest piece of valuable information to appear so far, is that we now know who is under Kylo Ren’s mask- Adam Driver. While no true information on the story was given, we at least have a better picture of the cast of the movie.